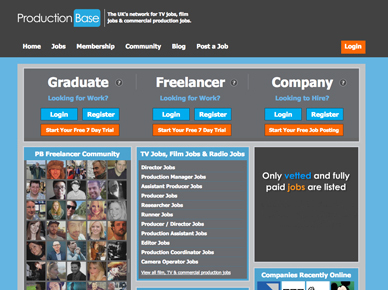 ProductionBase has been an industry force since 1996. 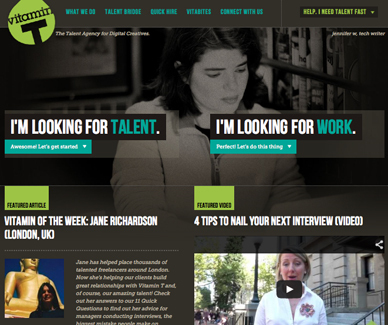 It is the UK's leading network for freelancers working in TV, film, theatre, radio and commercial production. 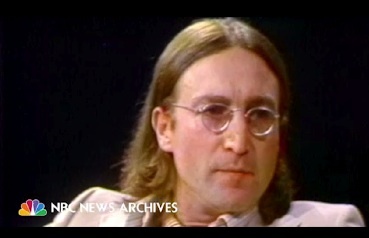 As members of this exclusive community, users gain access to hundreds of unique job opportunities on a weekly basis, and can showcase their profile & showreel to all the leading production companies and broadcasters. 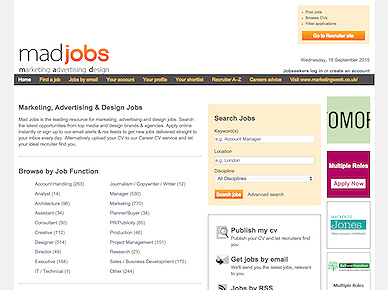 Mad Jobs is the leading resource for marketing, advertising and design jobs. 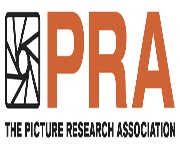 It enables its users to search the latest opportunities from top media and design brands and agencies. 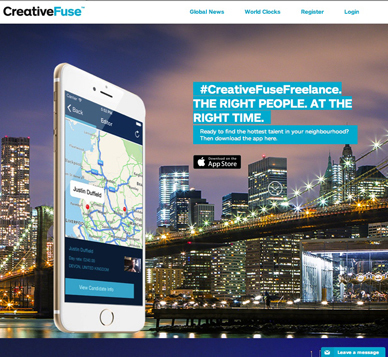 It aggregates all the online jobs from Marketing Week, Creative Review, Design Week and New Media Age. 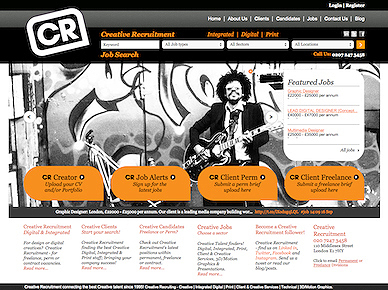 Creative Recruitment is the UK’s most respected integrated talent finder for Creative, Integrated, Digital, Print & Motion Graphics, Client Services, Creative Services & 3D talent. Creative + passion = great ideas! 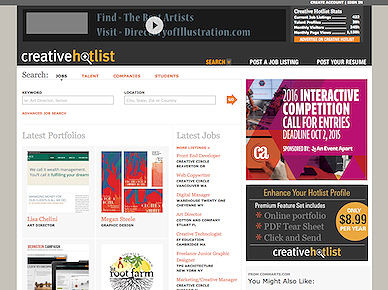 Creative Hotlist is a dedicated career resource for creative professionals in visual communications: Individuals can post resumes, job-wanted listings and online portfolios. Companies and organizations can post information about capabilities and services and from the same account, post job openings and, through the acceptance of resumes online, manage a hiring search. Monster is the leading provider of online careers and recruitment resources committed to connecting organisations with individuals.